This post has been sponsored by LiveTree. The major pain point for independent or budding filmmakers is distribution. I mean, if you are a filmmaker, you’d know that getting films, TV or any other video content to a screen is fairly difficult and that’s because there are various problems associated with the current process of content distribution. Right now, filmmakers have to meet various distributors or sales executives, negotiate complex deals, manage insider connnections and all of that comes at the fees of up to 35%. Now, that’s not really a win for an independent filmmaker. Well, this is where LiveTree comes in with its new “Adept” platform, which aims at solving the problems related to film distribution using Blockchain. 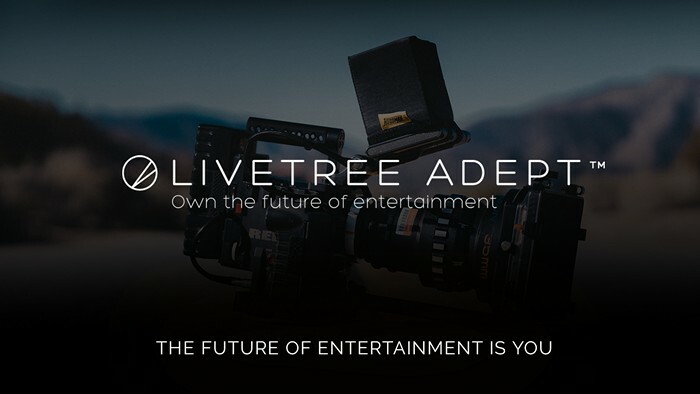 LiveTree is one of the established names when it comes to funding movie and TV projects having already funded over 150 film and TV projects and well, they have recently introduced their new “Adept” platform. Unlike other crowdfunding platforms, LiveTree Adept is the first film funding platform to be based on Blockchain and brings a change that will definitely attract budding filmmakers. Blossom TV is a new online distributed channel by LiveTree, which has a Netflix-like subscription and lets users pre-pay for content or even pre-fund content they want creators to make. LiveTree also offers a traditional broadcast model, which is aimed at legacy broadcasters and emerging video-on-demand platforms. Since LiveTree has an open rating system on its platform, distributors for the aforementioned platforms can choose content that they might want to showcase. Lastly, LiveTree will use online video streaming platforms like YouTube, Vimeo, DailyMotion etc. to make sure first time creators reach consumers easily. Now, all of these distribution methods for just 2.5% fees paid via its Seed token, unlike the traditional distribution sales executives, where creators have to pay almost 35% fees. A number of projects have already been launched through the new LiveTree Adept platform. There’s “The Buy In”, a TV game show broadcasted on Blossom TV, with LiveTree working to get the show on traditional platforms. The show shows the best uses of Blockchain technology in the world and consumers through the use of tokens can have a stake in the technologies they watch on the show. Isn’t that super cool? There’s also “Decentralized” in the works, which will be shot later this year and stars Amari Cheatom (starred in movies like Django Unchained, Love Under New Management, The Miki Howard Story, Night Catches Us) who plays a young economics professor who learns about Blockchain while being skeptic around the technology. How to Support Adept Projects? LiveTree will will not only solve the issue around distributing a film but also increase chances of a film being backed via crowd funding. Unlike the usual crowdfunding campaigns, where backers receive a gift, crowdfunding campaigns via Livetree Adept will be a huge win for the backers too. If a person backs a filmmaker via Adept, they will be able to profit when the movie hits the box office. It’s a win-win for everyone. So, if you are interested in supporting film and TV projects on LiveTree Adept, you can do so via a digital token called LiveTree Seed for which the quantity supply is fixed. However, its value changes based on demand. Plus, LiveTree lets you sell or Seeds so that you get some profit as well. For instance, the LiveTree Seed token sale started on January 31 and now, 17 days are left for you to buy a Seed. Well, if you want to support some good TV and film projects via LiveTree, go ahead and buy a Seed.